The DeConcini McDonald Yetwin and Lacy law firm is pleased to announce that shareholder Peter Goldman will once again be co-presenting at the State Bar of Arizona Course on Professionalism Session on Transactional Practice, Ethical Responsibilities to Clients and Others. This State Bar course is required for all new attorneys within their first year of admission. Seasoned attorneys are selected and invited by the State Bar to be faculty. 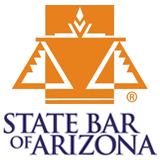 The State Bar Course on Professionalism is offered six times a year and held in both Phoenix and Tucson.